Signs are 12 slices of the zodiacal pie of 30 degrees each. Since the Greeks liked order, these 12 signs are equal size, which is not the case of the constellations in the heavens. Therefore the 12 signs may use the symbolism of the constellations, but do not correlate in exact position to where the baby was born in relation to the sky. Elements divide the 12 signs into 4 qualities. This is from ancient physics: earth, air, fire and water. The 3 earth signs are Capricorn, Taurus and Virgo. Air signs are Libra, Aquarius and Gemini. Fire signs are Aries, Leo and Sagittarius and water are Cancer, Scorpio and Pisces. Modalities are the 3 characteristics of the 12 signs. Cardinal (beginning, starts the seasons, impatient) are Aries, Cancer, Libra and Capricorn. Fixed (stubborn, persistent, slow to change) are Taurus, Leo, Scorpio and Aquarius. Mutable (flexible, resourceful, indecisive) are Gemini, Virgo, Sagittarius and Pisces. Where’s that Moon? The Moon sign and its phase is tremendously important to the astrologer. The Moon in your horoscope represents your emotional body: how you react to things, your habits, memories and how you nurture, among other things. You can find out more about the moon’s phases in my library. Void of Course Moon When the moon is “void of course” or VOC, it will make no other geometric connection to any planet before it moves into the next sign. At this time, we tend to have no emotional attachment to the outcome, so it is not a good time to begin any endeaver in which you have great interest. For instance when the moon is VOC, you would not want to sign a contract for a new job or a home, nor would you want to pitch a proposal. That is why usually it is recommended to organize, edit and meditate instead of initiate. HOWEVER, if the VOC moon touches a significant point in your PERSONAL horoscope, this could be a game changer. This is a karmic moment, which means you could be in a position to make a decision or start something that has a destined purpose. This is why it does matter to have dates checked by a professional if something important is at stake, unless you can make this calculation yourself. 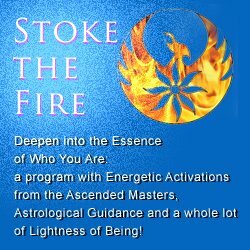 One of the best libraries on the web for basic astrology to advanced is Astrodienst.